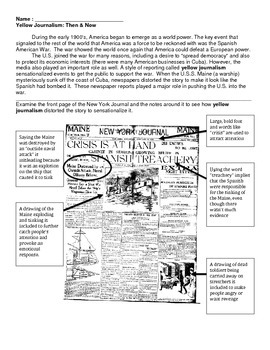 Resource includes a page that explains the concept of yellow journalism using a page from the New York Observer after the sinking of The Maine. 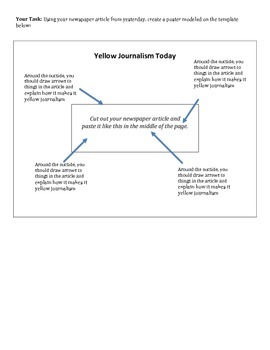 Assignment asks students to analyze the front page of a current newspaper and find an article that demonstrates yellow journalism. 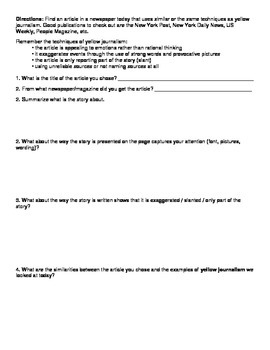 Also includes directions for a poster project.